Whole-genome sequencing by individual labs and efforts such as TARGET (Therapeutically Applicable Research To Generate Effective Treatments) and TCGA (The Cancer Genome Atlas) has revealed a large number of DNA sequence mutations that are associated with various types of tumors. The majority of the discovered mutations are located in noncoding regions of the human genome. These mutations, large and small, affect gene expression to promote tumorigenesis via a wide range of mechanisms. One of the biggest challenges of analyzing non-coding mutations is to identify causal mutations and to distinguish them from passenger mutations. Understanding these mutations might unravel novel mechanisms underlying tumorigenesis and provide new tumor-specific targets. Identification of non-coding causal mutations is in many ways more challenging than coding mutations owing to their complex and varied modes of action. 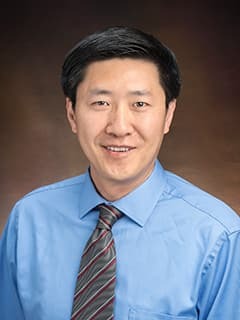 Researchers at the Center for Childhood Cancer Research, led by Kai Tan, PhD, are developing a general computational framework for identifying noncoding genetic mutations that confer cancer risk. The rationale for the computational method is that the impact of noncoding mutations on gene expression is transmitted through the gene regulatory network of the cell/tissue type(s) relevant to the cancer type. Furthermore, the genes affected by the full set of risk mutations are organized in a limited number of gene pathways.